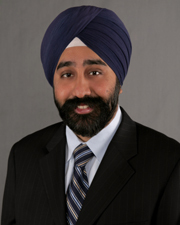 MSV: Did the Hudson Reporter defame Councilman Ravi Bhalla? Did the Hudson Reporter defame Councilman Ravi Bhalla? In a rare story published in the middle of the night midweek by the Hudson Reporter, an attack on Councilman Ravi Bhalla by a speaker in public portion focused on criticizing the Council President for ejecting well known politicos Perry Belfiore and David Liebler at the previous meeting. The Hudson Reporter story claimed Ravi Bhalla's law firm, Florio Perucci holds the legal counsel contract in the Hoboken Housing Authority - which has never been the case. The HHA legal contract is currently held by Fitzpatrick Waterman, a premier law firm specializing in federal housing authorities. Councilman Bhalla offered in an email statement, "On the heels of an overwhelming loss in this week's election, desperate attempts are being made to revive a manufactured non-issue. Shame on the Hoboken Reporter for participating in this effort by publishing information which is knowingly false or printed with a reckless disregard for the truth." At the previous council meeting before the election, Bhalla applied the discretion he holds under the City Council rules to eject anyone acting out of order. Both Belfiore and Liebler attempted to continue accusations against the mayor's husband for his opinions in emails offered to Hoboken Housing Authority commissioners in early 2013. The emails believed obtained from Carmelo Garcia's "ethnic cleansing" lawsuit were referenced hours earlier on PolitickerNJ. Belfiore waved papers before the council he claimed were part of a resolution by the mayor's husband terminating Garcia's Executive Director contract. Current HHA Chair Dana Wefer publicly stated she was never directed by anyone when she put up her resolution terminating the remaining portion of Garcia's contract in August last year. Numerous problems under Carmelo Garcia at the HHA were uncovered months earlier showing thousands of dollars he pocketed from its vendors in illicit contracts never approved by the board. Garcia claimed he bypassed federal laws under HUD and unilaterally issued the millions in contracts due to an emergency after Hurricane Sandy but he did not follow any emergency procedures under HUD in doing so. Before the November City Council election, when comments in public portion turned to the mayor's husband, Stan Grossbard, Council President Bhalla attempted to call for order asking each of the speakers to refrain from doing so. Each ignored the request and continued to lob accusations. Legal sources informed MSV, the mayor's husband likely became a limited public figure when he was named in Garcia's "ethnic cleansing" lawsuit. That designation applies differently from one actually ruled in the Bajardi v Pincus case where Lane Bajardi inserted himself publicly into almost every issue of public concern for years in his self-admitted attempt to advance Beth Mason's political career. The key difference between the two applications may lie in one of citizen participation - where advice is limited to private suggestions vs. public advocacy. In this circumstance, three members of the former HHA board in 2013 elected not to act on any submitted suggestions. No action was taken by the 2013 HHA board to instill added oversight into the activities of Carmelo Garcia under his then Executive Director contract. The Hudson Reporter stated in a story today Councilman Ravi Bhalla's law firm holds the Hoboken Housing Authority's legal contract. The statement is false and Councilman Bhalla called the report one "publishing information which is knowingly false or printed with a reckless disregard for the truth." 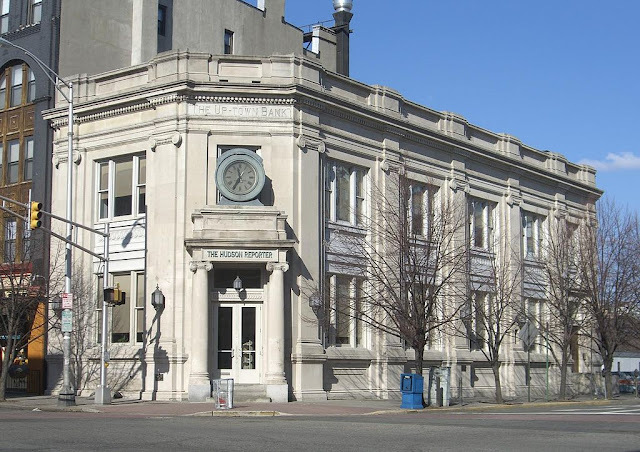 The Hudson Reporter building seen here on 14th street was just announced as for sale. Bhalla has been a frequent target of the Hudson Reporter, often at election time. In the fall of 2013, its coverage saw broad criticism in line with attacks believed directed and paid for by Beth Mason's chief political operative. Bhalla announced before the November 2013 election he was considering a lawsuit against Mason for efforts he alleged were defamatory. Bhalla then easily won re-election to the City Council and the matter was not brought up again. Previously, the Hudson Reporter issued another midweek daytime story on Bhalla. One concerned traffic tickets in Hoboken which were later all dismissed. The editors and publishers of the Hudson Reporter were asked via email to provide information on their accusation Ravi Bhalla's current law firm holds the legal contract to the HHA. The law firm Florio, Perucci does not. The Hudson Reporter previously held a cordial relationship with MSV up until an attempted hit job in early 2012 was uncovered by Grafix Avenger showing a coordinated effort with Beth Mason and her chief political operative FinBoy. It's never answered a public or private request for response since. A comment via email was requested from HR editor Caren Matzner for this story.